How to backup your Google contacts? Google contacts is a place where your email contacts, with their other information if you have added, is all available to make your search for all contacts easier at a place. Although Google is safe at its place, its good to keep a backup of all the data and export everything to your local computer, so that you can also use it offline when needed. Go to your Google account, and hit the Contacts tab. 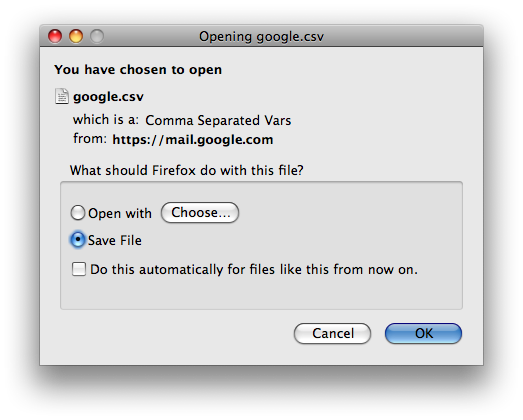 Or the easier way is to open this – google.com/contacts and if you are not logged in to your gmail account, you would be prompted to do that. Once you login, you would be sent to that contacts page. In the contacts page, you would see options to print the list of contacts, import more contacts or export the present contacts. As you are trying to backup, the option you need to select is Export. 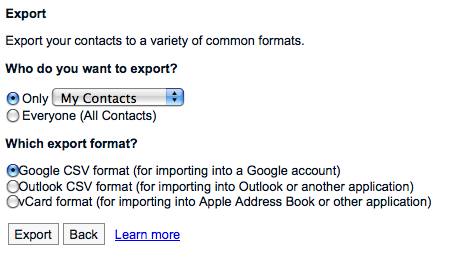 You can export the contacts to different formats. Select from “My contacts”, “Friends”, “Family”, “Coworkers” or the most contacted ones. Or there is an option to export all the contacts at once. Hit export, and you will see the window for downloading the export file. That’s it. You have backed up your Google contacts. A pretty easy process to do, but an essential one.